I nearly plotzed (more appropriate for Don Martin, I know). I’d read a number of places that Sergio Aragones drove that car, and immediately recognized it. I lingered around the car for, oh, 2 or 3 minutes, hoping to catch him on the way back and meet him, but I started to feel like a creepy stalker, and I left. It only occurred to me, like, 20 years later that I probably should have gone to your store then because… MAYBE THAT’S WHERE HE WAS GOING! Maybe I could have met him that day! And now… it looks like I could have after all! Argh! Around ’00-’01, an outfit called iBooks was putting out anniversary reprints of the first dozen or so Mad paperbacks. They seem to have better printing and have new intros by one comedy person or another. They’re all out of print now. 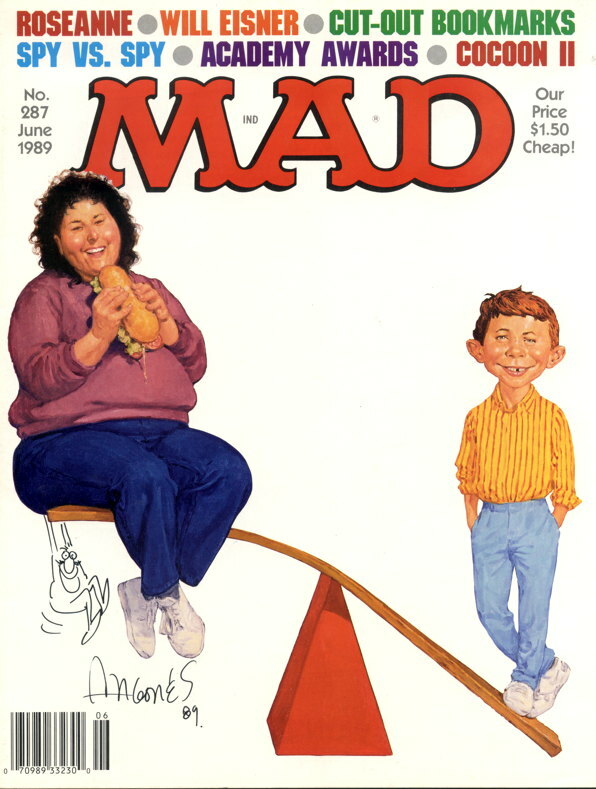 I think the latest, most affordable reprints of at least 2/3 of the Mad color comics were the paperbacks each focusing on an artist (Elder, Wood, Davis).